Fairly common in hardwood-dominated forests throughout King and Kitsap Counties at low and moderate elevations, preferring sites with mature trees such as maples, alders, and oaks. 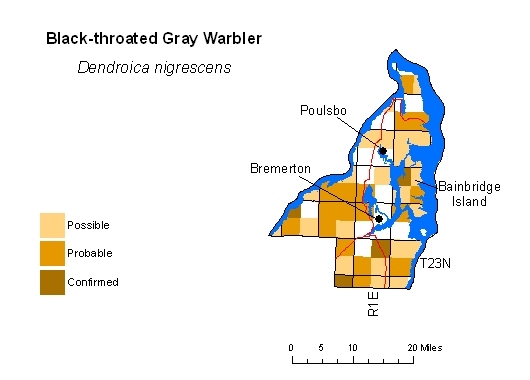 Uncommon and local in Island County except for forested north tip of Whidbey Island; other county records at "possible" level may represent migrants or dispersing birds, as this warbler begins moving in July. 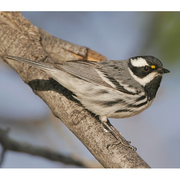 Fairly common locally in west-central Kittitas County along Cle Elum River north to Salmon la Sac. Population decline in urban core appears to be worsening since close of atlas period.